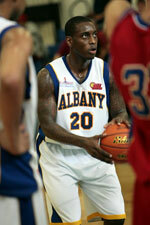 Al Shurtah Police (IBL) inked 30-year old American guard Bryquis Perine (190-88, college: Green Bay, agency: Promotex). He joins another USA player Tracy Robinson which is already in the roster. Perine played most recently at Tundja Yambol in Bulgarian NBL league. In 25 games he was fifth best scorer with impressive 16.2ppg and had 2.6rpg, 4.1apg and 1.8spg (in top 5) last season. Perine's team was regular season runner-up in Horizon League in 2009. He is a very experienced player. Perine has quite traveled the world as his pro career brought him to six different countries on three different continents (Europe, Africa and of course North America). 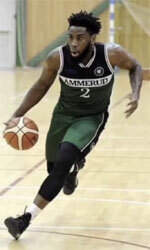 Perine has played previously professionally in Holland (Weert), Hungary (Zalakeramia-ZTE KK and Kecskemeti), Israel (Beer Yaakov), Sweden (Umea), Tunisia (Club Africain) and United Kingdom (Bristol Acadamy Flyers). He attended University of Wisconsin - Green Bay until 2011 and it will be his eighth season in pro basketball.